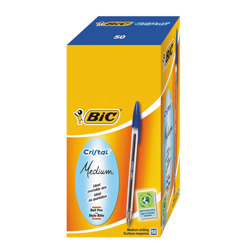 "Pens, Pencils & Writing Supplies"
> Browse > Office Stationery > "Pens, Pencils & Writing Supplies"
Bic Matic Classic Mech Pncl 0.7mm 820959 Pack of 12 Bic Matic Pencil. 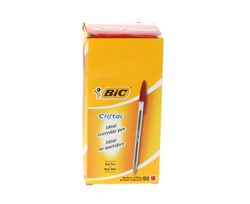 Disposable automatic pencil with 3 long lasting HB leads. 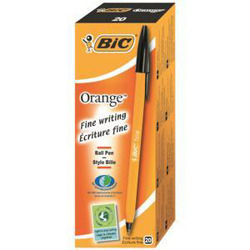 Last up to 3 times longer than conventional pencils. Simple push button action with built in eraser. Matt Black barrels. Pack 12. 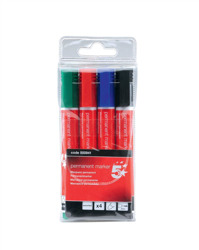 Berol Colourfine Pen Black S0376300 Pack of 12 Berol Colour Fine is a long lasting fibre tip pen with water based ink, excellent for detailed colouring and drawing. 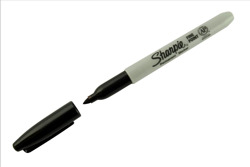 Line width 0.6mm. Colour - Black.